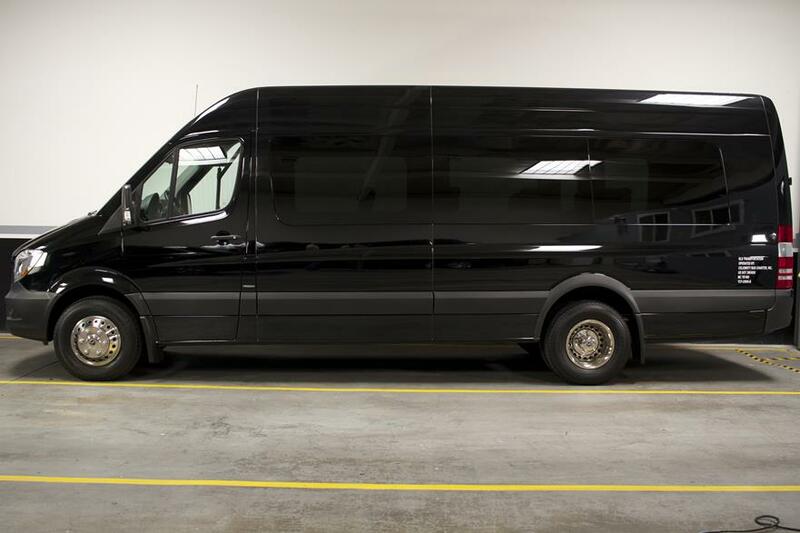 To add more luxury to group travel, the Mercedes Benz Sprinter provides a raised-ceiling experience to executive shuttles and comes with extra safety features like lane assist and blind spot warning. The Sprinter Vans include flat-screen TVs, leather seating, storage space in the rear and above the seats, Wi-Fi and power sliding doors for easy entry and exit. The robust diesel engine gives the vehicle plenty of power to carry full loads up and down even the steepest of city hills.